The number of crashes and slide-offs climbed Wednesday morning as drivers hit snow- and ice-covered roads. Plow drivers worked overnight, prioritizing main roads and with plans to hit secondary and side streets later. KANSAS CITY, Mo. — The number of crashes and slide-offs climbed Wednesday morning as drivers hit snow- and ice-covered roads. Plow drivers worked overnight, prioritizing main roads and with plans to hit secondary and side streets later. The Kansas Department of Transportation warned it is too cold for ice treatment to effectively melt ice, so overpasses and bridges may be slick. KDOT and the Missouri Department of Transportation planned to plow overnight. MoDOT put down salt Tuesday night in an attempt to get ahead of the snow. 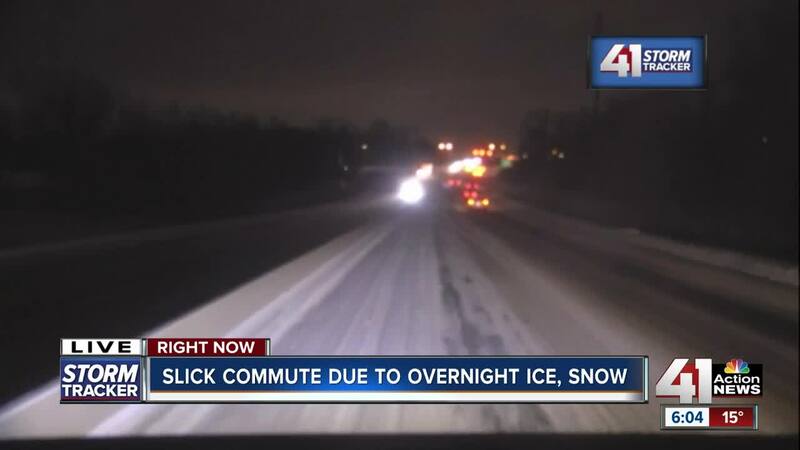 In Kansas City, Missouri, crews came in at 7:30 p.m. Tuesday. The city will assess next steps Wednesday morning. Overland Park, Kansas, continued to remind people to park their cars in the driveway. If you don’t have a driveway, or can’t park there, try to coordinate with your block to park cars on one side only. It makes things a lot easier for plow drivers who work overnight. 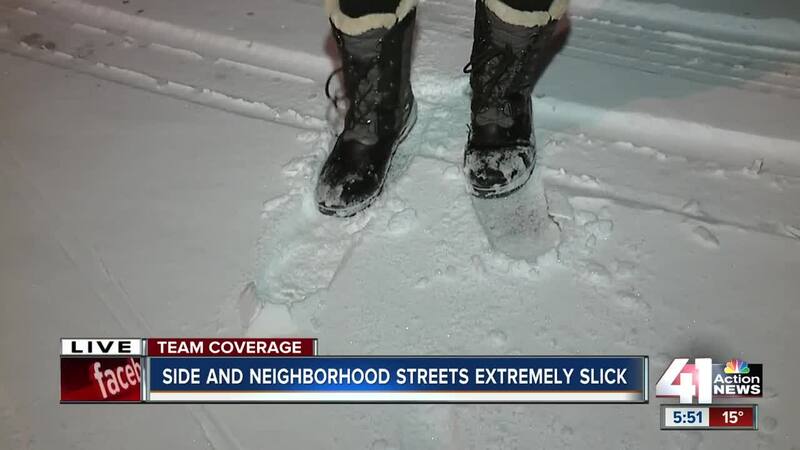 Olathe, Kansas, worried pre-treatment might have washed away before rain turned to snow, but the city’s crews worked overnight in the snow, plowing and treating roads. Lee’s Summit, Missouri, crews hit the streets Tuesday night and planned to work around the clock. Over in Independence, they city had one team begin road work at 6:30 Tuesday night with the next shift beginning at midnight. KCI Airport had canceled six flights as of 6 a.m. Wednesday. RideKC tweeted buses were scheduled to run regular routes Wednesday, with delays on KCK routes 102, 103, 106, 113, 115, 116 and 118. RideKC Freedom paratransit planned to operate in Phase B, with delays of up to an hour possible. Track your bus here.